Even if you’re a pro at holiday shopping, stuffing stockings can be challenging. You need gifts that are small without being pure junk, and one person needs only so much candy. Perhaps that’s why Macy’s came up with these Men’s and Women’s 5-Piece. Fragrance Holiday Coffrets. They’re currently half off, at just $15, and variety is the key to an expertly stuffed stocking. 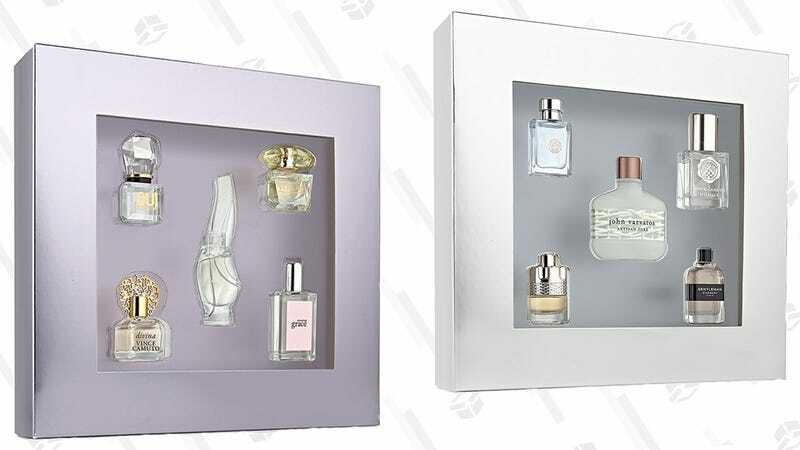 If nothing else, they’re more interesting than socks, and with scents by Versace, Givenchy, and Juicy Couture, your giftee may just discover a new favorite perfume or cologne.